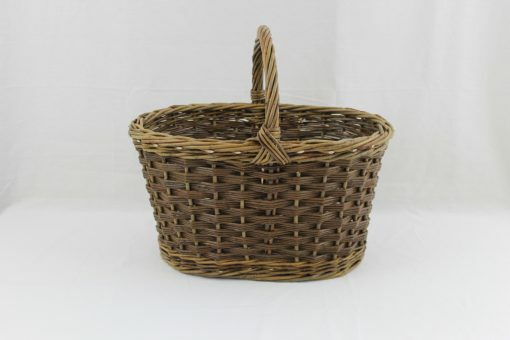 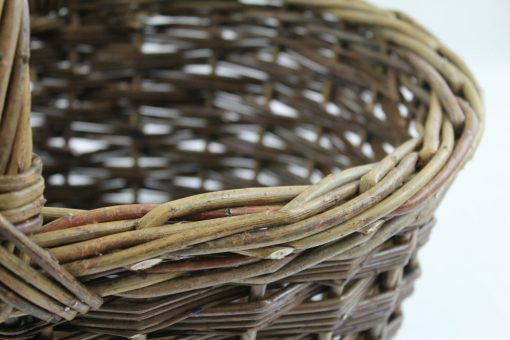 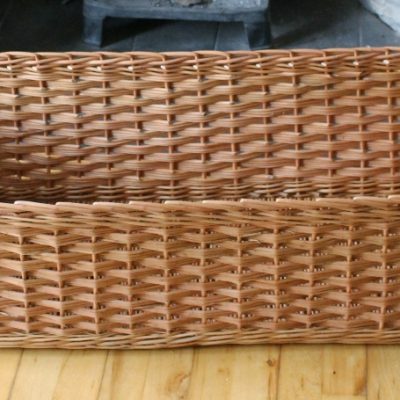 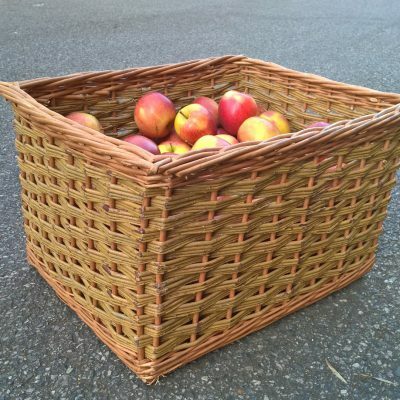 A lovely oval shopping basket made from green and steamed willow. Both these willows have their bark on: green is just as it comes from the field whereas steamed is green willow which has been boiled for a couple of hours during which the bark changes colour to very dark brown. 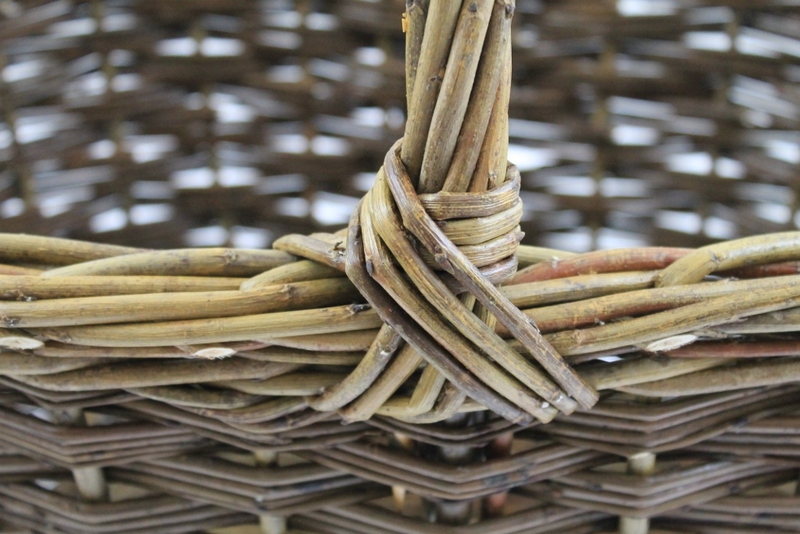 Tactile and beautiful. 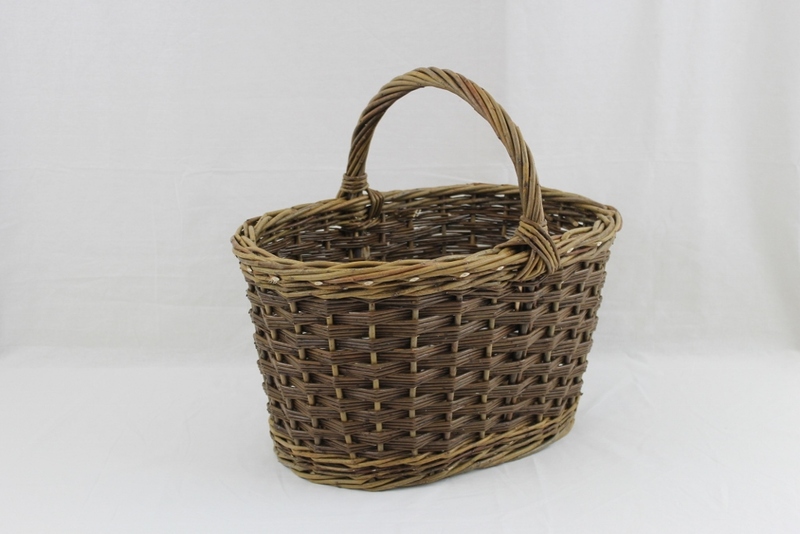 The size is appoximately 48cm x 33cm x 26cm h (19″ x 13″ x 26″ h) plus handle. 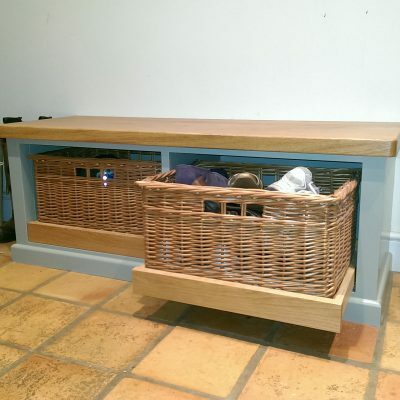 To order or make an enquiry, please call Alison on 01294 829012 or send an email.